Ranveer Singh, who has delivered phenomenal performances in films like Bajirao Mastani, Lootera, Padmaavat and Gully Boy, will soon be seen in the upcoming sports drama 83. The actor recently kicked off the training session in Dharamshala with his on-screen team. On 6 April, Singh shared pictures with former Indian skipper Kapil Dev, whom he will portray in the Kabir Khan directorial. Mid-Day reports that Singh will spend a fortnight with Dev to study his mannerisms and body language. A source told the publication that the actor will also use his time with the veteran cricketer to perfect his bowling skills. Singh and the rest of the team will be trained under former test cricketer Balvinder Singh Sandhu. The film is expected to go on floors around 15 May and will be shot in London and Scotland over the course of 100 days. 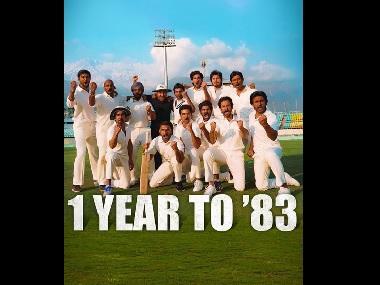 83 will chronicle India's win under Dev's captainship, when the Men in Blue defeated West Indies in the final to clinch their first-ever World Cup trophy in 1983. It will track the coming-of-age of not just a cricketing team, but of a young nation in the eyes of the world. The cast of the film includes, Jatin Sarna as Yashpal Sharma, the inventor of the 'badam shot' and Saqib Saleem as all-rounder Mohinder Amarnath. Harrdy Sandhu will portray another all-rounder, Madan Lal. Tamil actor Jiiva has been cast as Krishnamachari Srikkanth. Pankaj Tripathi will play the role of team manager PR Man Singh. Punjabi actor Ammy Virk will bring Balvinder on screen. 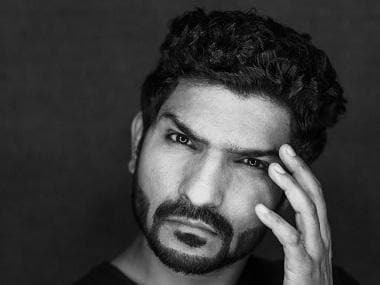 Tahir Raj Bhasin will essay the role of Sunil Gavaskar, YouTube personality Sahil Khattar will play Syed Kirmani, Marathi actor Adinath Kothare will portray Dilip Vengsarkar.